No matter what size of business you operate, tax time can be, well, a taxing time. The best defense is knowledge. Having an experienced, qualified accountant on your team is one way to ensure you cross your t’s and dot your i’s. As a small business, the last thing you want to do is pay late fees. It’s simply not in the budget! And when it comes to taxes, they’re a lot bigger of a deal than returning your library books a few days late. Missed deadlines can cost you thousands of dollars, and it’s totally preventable. Most deadlines are followed by a costly interest period which continues to accumulate until you finally make a payment. Accountants know when the important deadlines are, and will keep you on schedule. It can be a time consuming task, but accounting for all of your small business’ deductions has the potential to shave thousands off of your tax return. A wide range of expenses can be deducted, for example: vehicle expenses, legal fees, accounting services, electronics, even office furniture. Deductions need to be handled with care however. 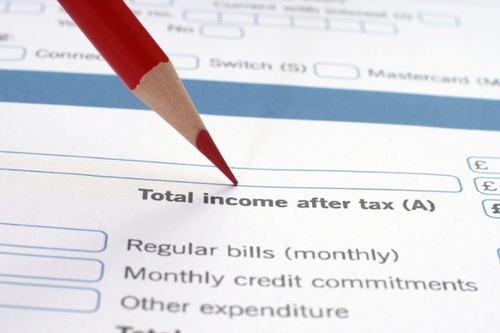 Getting greedy with deductions causes some serious red flags, and can even bring your whole tax return into question. Your accountant will know exactly what you are allowed to deduct, and the right rules surrounding each situation. There are dozens of tax credits available to small businesses. That said, if you don’t know about them it will be incredibly difficult to take advantage of them. Doing your research can be a time consuming but thrifty process. Depending on your business, there may be an industry specific tax credit that you can take advantage of. However, they often require a significant amount of documentation. In the small business sector, research and development tax credits are a benefit when it comes to tax time. Those businesses in the food, or technology sector may qualify for scientific research and experimental development federal and provincial tax credits that can help recoup time spent in much needed R&D. There is nothing more frustrating than spending night after night searching through filing cabinets and banker boxes in search of one single invoice or receipt. Do it right from the start with organized, clearly label records. Don’t just stop at organized though, make sure that your records are thorough, accurate and up to date! This will help your accountant make quick sense of your small business’ financial situation. Not to mention, the more organized your financials are, the easier it will be to help you make accurate deductions. Save your receipts from office supplies, furniture purchases, filling up the company vehicle, and purchasing software and electronics for your business. Ensuring that your small business tax returns are done right the first time will save you money, time, and a headache. It’s well worth enlisting a qualified accountant who has experience dealing with your particular industry. In addition, accounting services can be considered a deductible expense. So Contact Peter's Accounting and Bookkeeping today for trusted professional accounting advice.